A smattering of beautiful and peaceful Orthodox churches, scattered in and around Ohrid. These gems of traditional Orthodox architecture are filled with Fascinating Frescoes, Magnificent Mosaics and Intriguing Icons as well as quiet reverence. They come in various shapes and sizes- easily strung together for a day of church-hopping. Oh, did I mention the lake? Ohrid town is situated on the eponymous lake, in the south-western corner of Macedonia (or FYROM, as our Greek friends still insist it's called.) Albania is a hop and a skip away. Map. CAN A PLACE be a Minor Sight if you arrive there in a charter plane full of package tourists? 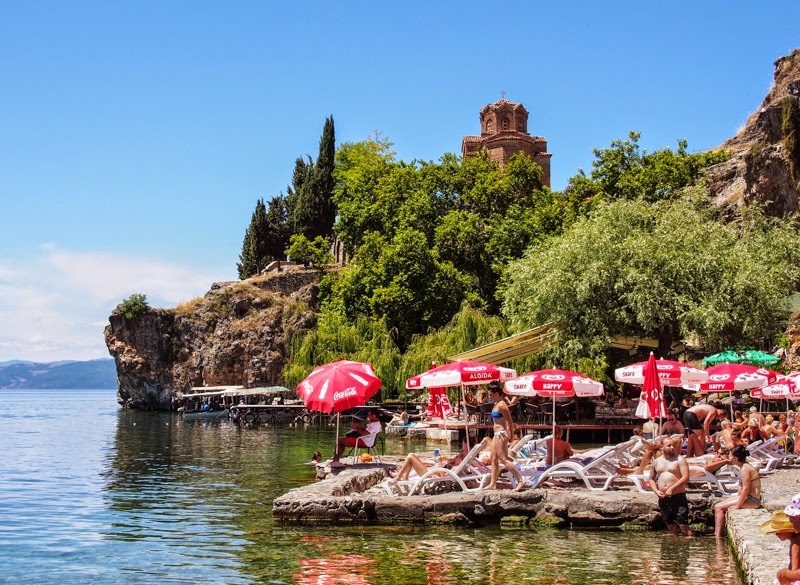 Ohrid has for years been attracting budget-conscious sun-seekers, pulled in by its clear lake water, pebble beaches and affordable accommodation. These days, Ohrid's pilgrims worship the sun and the water, and prostrate themselves, packed like sardines, on the lake's beaches. 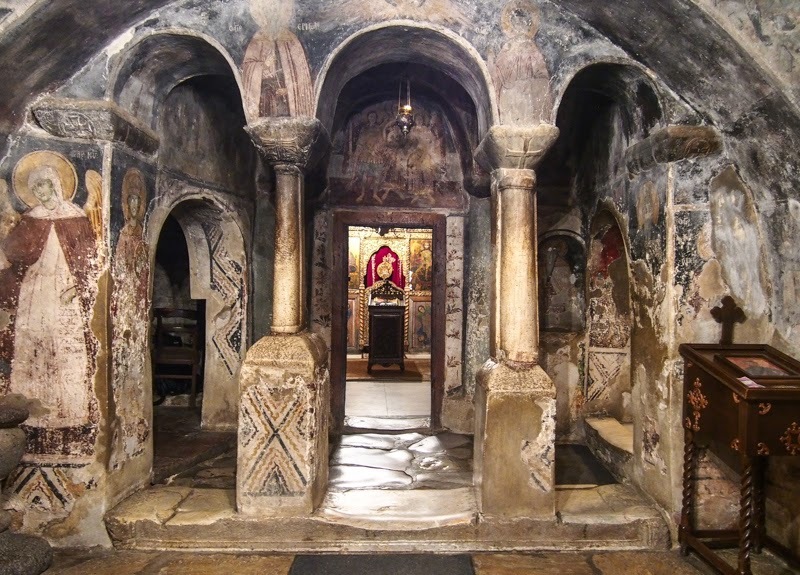 But for those looking for a more spiritual beauty rather than the physical one on display in tight bathing suits, Ohrid's churches mostly remain quietly undisturbed. Many of these churches are filled with frescoes, some of them dating back to the 11th century. There are icons and delicately-carved iconostases. 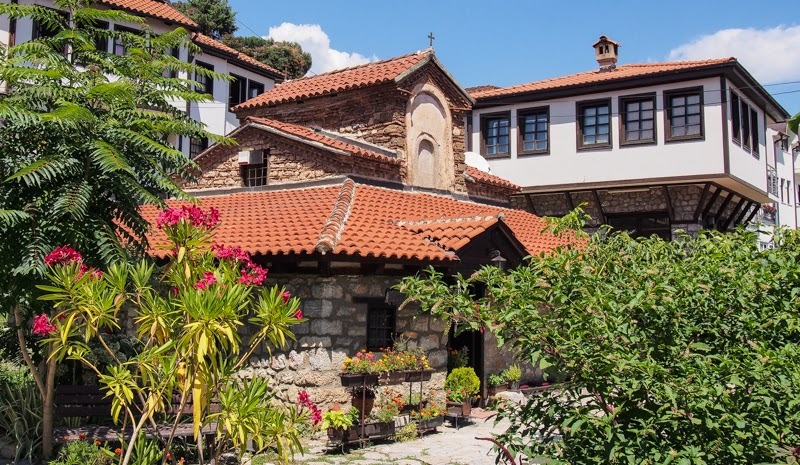 Packed between the Balkan-style houses of Ohrid Old Town sit two hospital churches, St Nicholas for men and Our Holy Mother for women. They are small, intimate affairs, oblivious of the tourists splashing about in the lake, 20 meters away. Barely large enough to hold a hospital bed, the Hospital Church of Our Holy Mother sits pretty in Ohrid's Old Town. 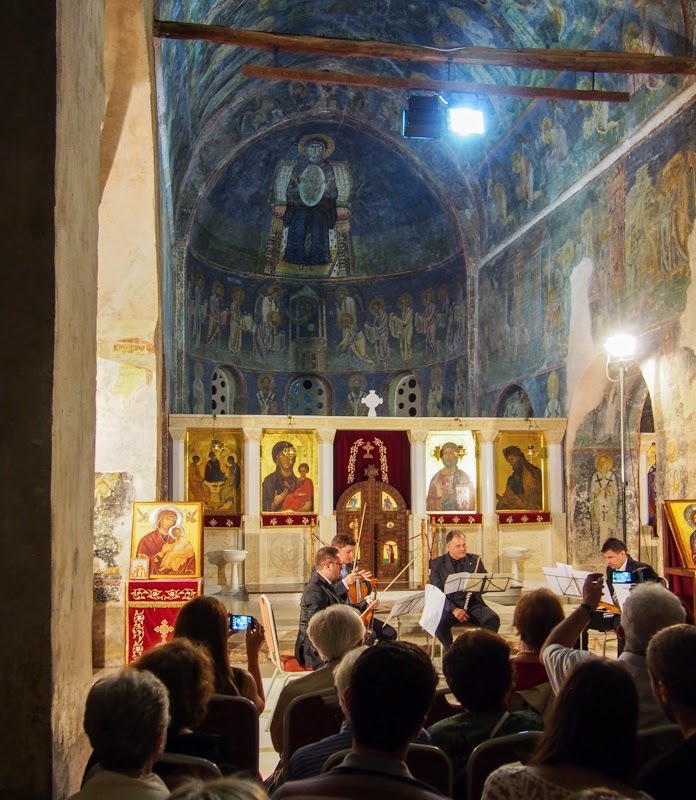 A concert at St Sophia. The Holy Virgin looks down approvingly from the apse. St Sophia, in the center of the Old Town, attracts more visitors, as it is easy to reach and is often shown to resort tourists who want something 'cultural' to break the monotony of sun and surf. One of the best ways to view St Sophia is to attend a concert here, as the Ohrid Summer Festival frequently stages events here (expect something suitably classical and traditional). 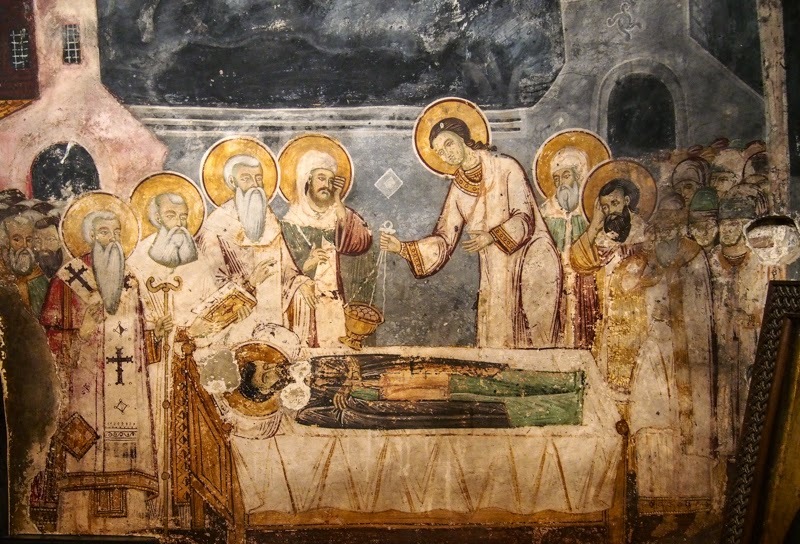 The church's 11th century frescoes were whitewashed when the church was converted into a mosque during the Ottoman period, but are now on display again in all their glorious glory. Further up on the hill you will find St Clement at Plaošnik, the site of Clement's original monastery. St Clement's church is long gone, but in 2002 a new church bearing his name, in retro-neo-Macedonian style, was opened on this site. But Plaošnik has a long pedigree, and archeologists are still shovelling their way through the many remains from earlier structures on this hill. Their best find so far have been the remains of a 5th century Christian basilica, built in the day when floors were to look at as well as to walk on. 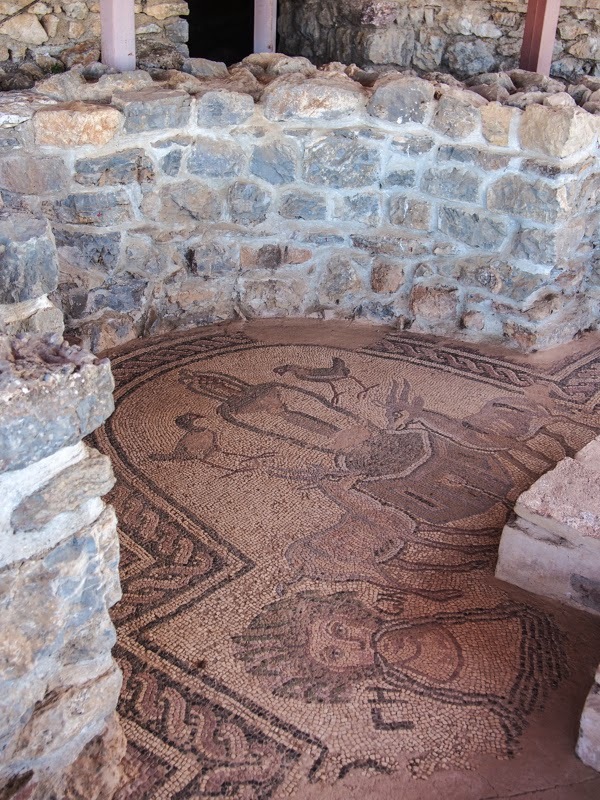 The basilica's floor consisted of Magnificent Mosaics, sporting animals, flowers, and geometric patterns. Marvel at the Church of Holy Mary Peribleptos (which admittedly sounds like a swearword- 'Holy Mother of Peribleptos! I just dropped this icon on my foot....'). 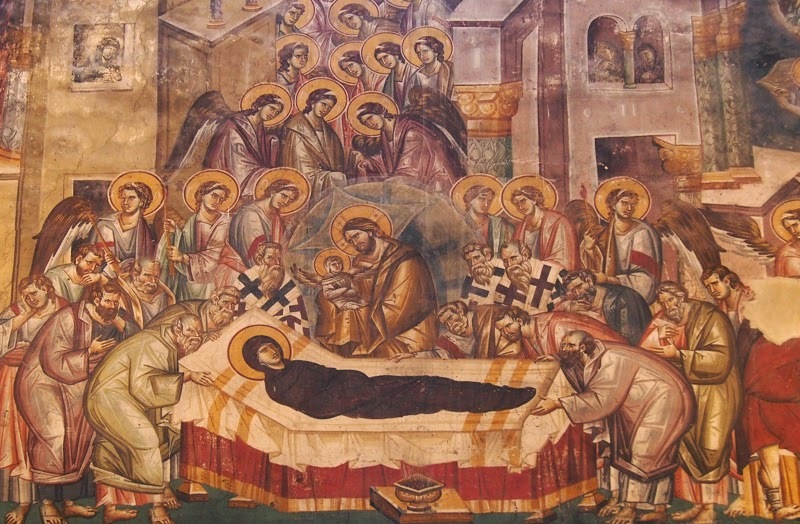 It contains some of the best-preserved Fascinating Frescoes, including a magnificent Dormition of Mary, which shows the Virgin on her deathbed, while her spirit, in the form of a swaddled infant, is being whisked away by JH Christ himself. The caretaker, Ms Jana Poposka, is extremely knowledgable, having written a book about the church, and will delight in sharing its history with you. 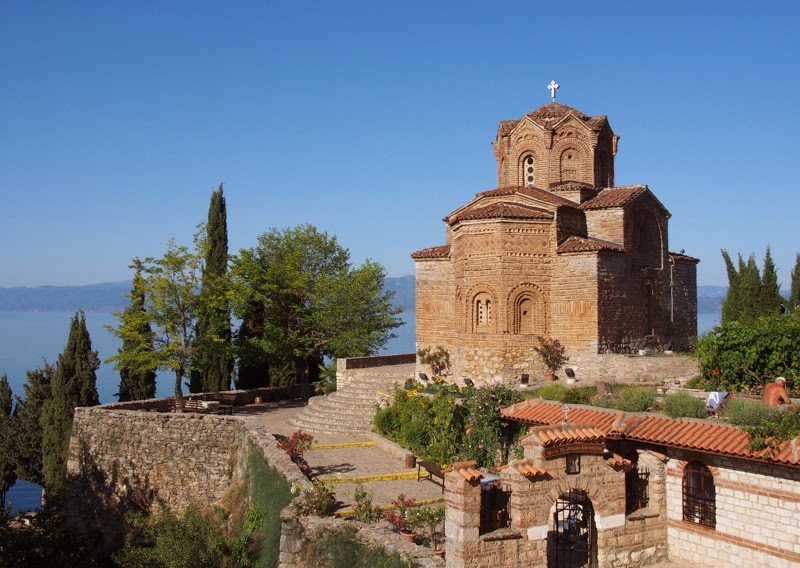 On the other side of Lake Ohrid is the Monastery of St Naum. Naum was Clements's trusty sidekick. Another fresh water fiend, Naum founded a monastery on the south side of the lake, and after his death was buried in the church that still carries his name. 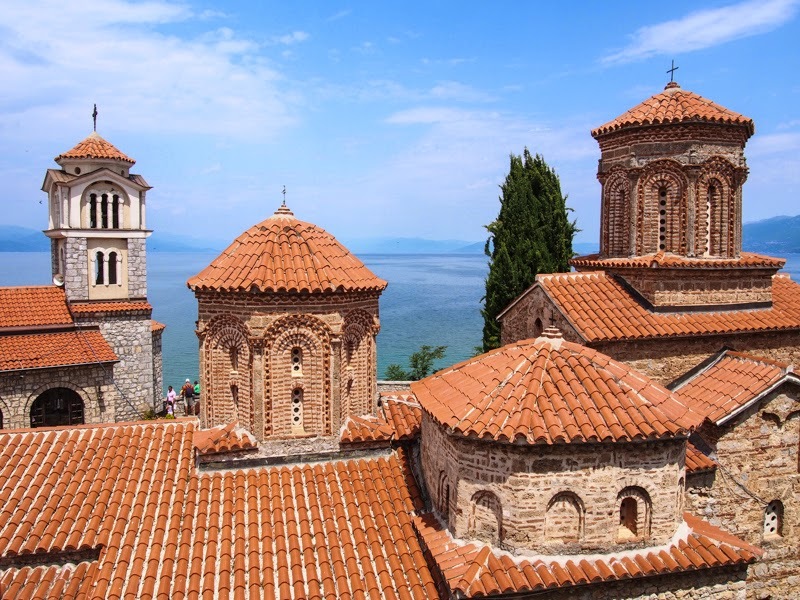 The monastery is over-run with day trippers in summer between 10am and 5pm- boats arrive depart frequently from Ohrid town, making it a popular day trip. However, savvy travellers spend a night (or two) in the hotel that is now located in the monastery. Offering a lot more comfort than a traditional monk's cell, you get to explore the monastery and church in almost complete solitude, much like the medieval monks who lived here intended. Enter the cave-like church to pay respect to Naum's grave, and thank him for picking such a beautiful spot. Room with a view: the Church of St Naum as seen from a hotel room. The cave-like interior of the church. A Fascinating Fresco showing the departure of St Naum from his peaceful lake-side monastery to a presumably even more peaceful afterlife. is inaccessible by land and sports its own private beach. For ages monks have been seeking solitude and a quiet spot to ponder divine mysteries and grill some fish. The little Church of St Zaum offers exactly that: a church with its own private beach. St Zaum can only be reached by boat- there is no land access. You either need to be a very strong swimmer, or charter a boat from the nearby fishing village of Trpejca. The frescoes are mostly damaged, but bring a towel, a picnic, and say a little prayer of thanks to St Zaum, for finding such a magnificent swimming spot. Ohrid can be reached by, yes, charter plane in summer or by bus from Skopje or other Macedonian towns. The churches in Ohrid town are all best explored on foot. The Monastery of St Naum can be reached by bus from Ohrid (6 times a day) or by boat (much preferred). 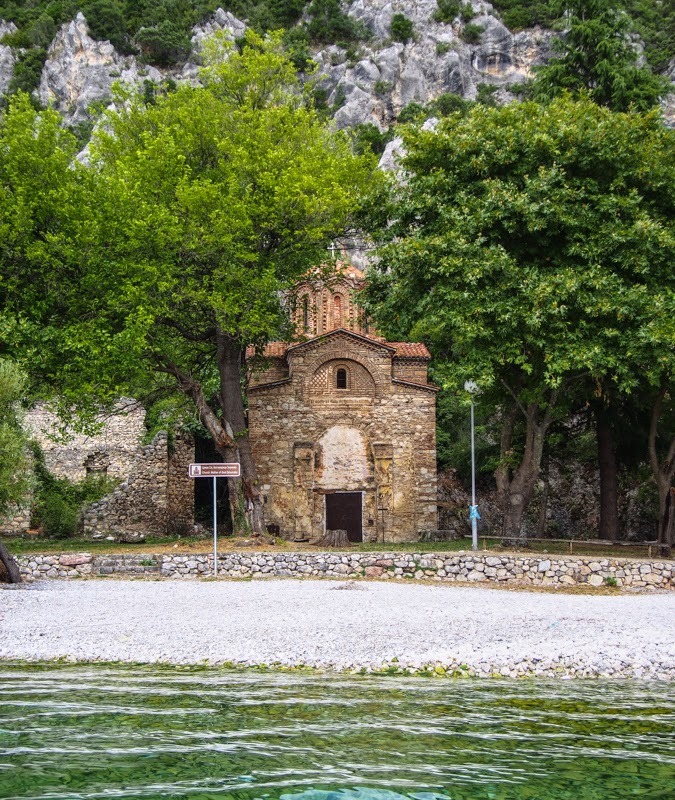 The little church of St Zaum can only be reached by boat from Trpejca (which is on the land route between St Naum and Ohrid). They are indicated on the Minor Sights map. UNESCO World Heritage listing of Ohrid. What's on the Albanian side? I walked across the border near St Naum and then on to Pogradec. Didn't see much of interest on that stretch... I was planning on returning on the West side of the lake and crossing back into Macedonia at Kjafasan but I ran out of time... next time!